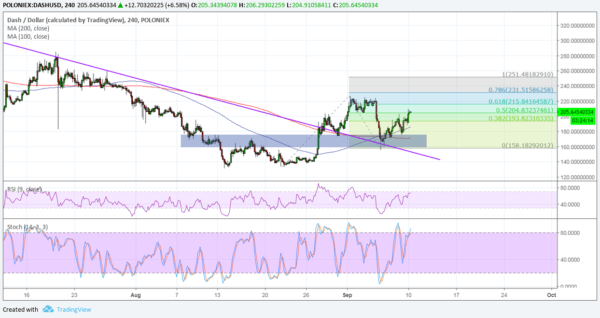 Dash recently busted through a descending trend line to show that a reversal from the downtrend is underway. Price even completed its retest of the broken resistance and is setting its sights higher. The 100 SMA also recently crossed above the longer-term 200 SMA to confirm that the path of least resistance is to the upside. 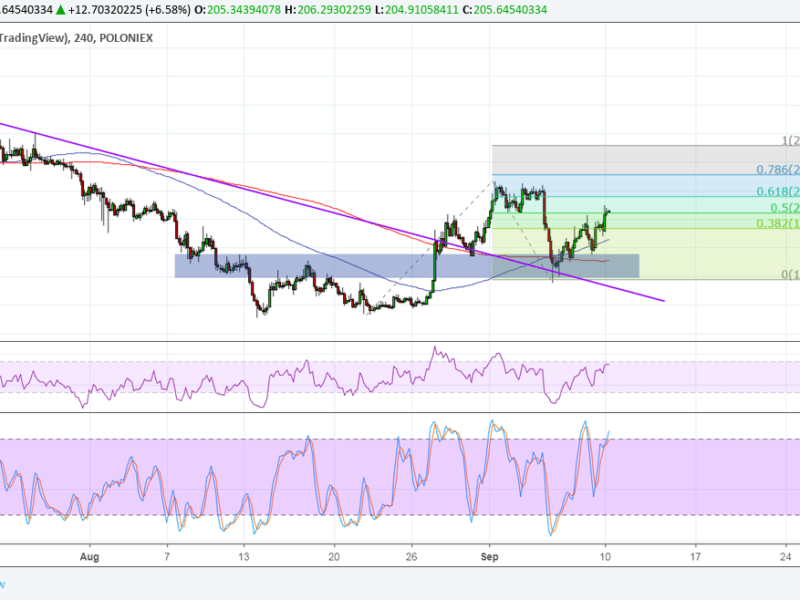 In other words, the uptrend is likely to gain traction from here. These moving averages also held as dynamic support on the latest pullback. Applying the Fibonacci extension tool on this move shows that price is already testing the 50% extension and might be on its way up to the next upside target at the 61.8% level. This lines up with the swing high so there may be some profit-taking orders right there. Stronger bullish momentum could take it up to the 78.6% level at $231 or the full extension at $251. RSI is on the move up to show that bullish pressure is present, but the oscillator is approaching overbought levels to signal potential exhaustion. Turning back down could bring sellers in and lead to another dip. Similarly, stochastic is closing in on overbought territory and might usher in a return in selling pressure. However, it’s also worth noting that Dash has been able to hold its ground quite well against rival altcoins. One reason behind this is its recent partnership with KRIP in providing an alternative means for facilitating transactions in the Latin American region. Keep in mind that economic crises in Venezuela and Argentina are likely driving up demand for these types of assets. Another factor is the partnership between fantasy sports giant FanDuel and Dash. This would allow the cryptocurrency to be used as its official cryptocurrency in the Crypto Cup, which will consist of 18 free play contests running from September 9th to December 30th, followed by the free play final on January 6th.